Celebrate your pupils achievements with bespoke badges for your swimmers. 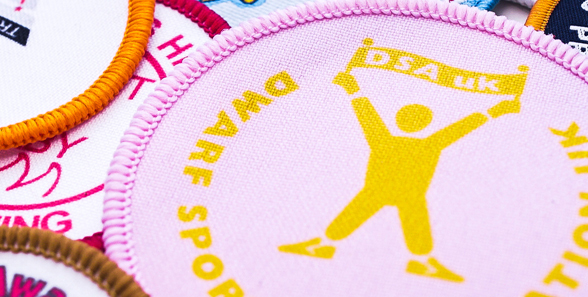 Award your members with bespoke gymnastic badges. 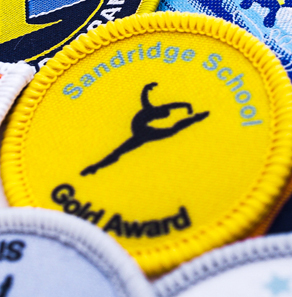 We turn your ideas into a reality, our team can turn your design into a printed or embroidered gymnastic badge ideal for marking an achievement. 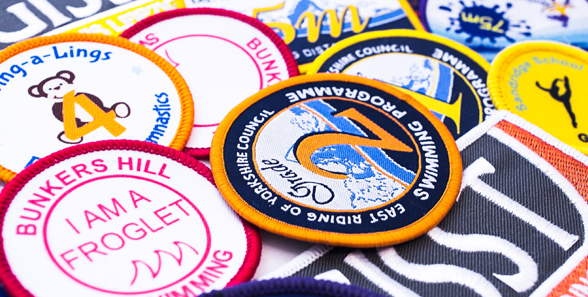 Golden Finishes provides printed & embroidered badges for swimming clubs, with low set-up fees & minimum order quantities we make it cost effective to order badges for your swimming club/association. We work closely with you from design to dispatch to ensure you get the perfect badges for your swimming club at affordable trade prices. Simply get in touch with our team to see how we can help your club or association today! 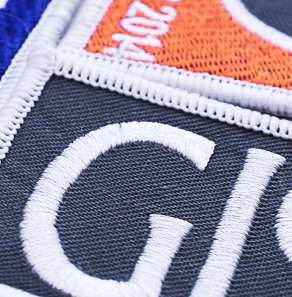 Printed & embroidered gymnastic badges can be produced in a variety of styles, finishes and sizes, we offer complete flexibility for your club at an affordable trade price. How much does ‘set up’ cost? When re-drawing your artwork, we convert your image to a print/embroidery ready logo. Prices on this start from £10+ VAT (But this will vary dependent on the artwork). What payment methods are available for your order? You can pay for your swimming badges either via BACS transfer, credit/debit card over the phone or in some cases by cheque in the post. Do we offer a sample service? Yes, we can provide you samples upon request. All we change for this is the set up and delivery charge. What finishes are available for swimming badges? 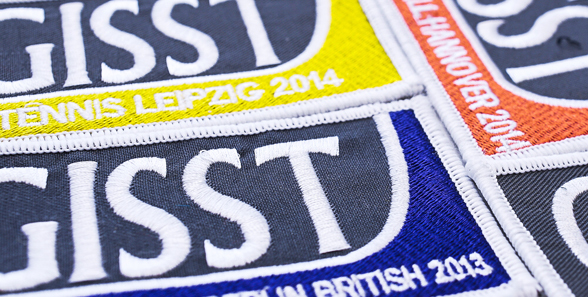 We produce printed, embroidered or woven badges – our team can advise you on the best method for your specification. What is the MOQ for gymnastic badges? We do not specifically have a MOQ, but we have a minimum order value of £50+ VAT for Gymnastic badges. What payment methods are available? 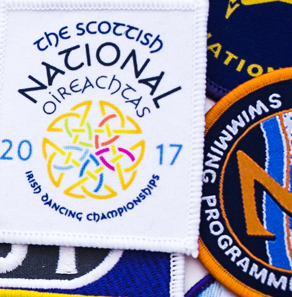 We have a few payment methods available for gymnastic badges, credit/debit card over the phone, cheque or BACS transfer. Do we offer an express service? Yes, we charge a 50% premium for same day or next day dispatch (only if this is possible). Are there any set up fees on our gymnastic badges? Yes, there is a set up fee which will vary on the artwork sent across to our team. For more information on Gymnastic & Swimming Club Badges and our services, please don’t hesitate to contact Golden Finishes on 02920 755733 or email info@goldenfinishes.com.